Closing Up Shop for this Season . . . See You in the Fall! Well, another holiday season has now come and gone, and I hope it was a jolly and memorable one for you. Today, we begin our annual post-holiday hiatus, which I expect to last until sometime in November. I hope we'll be able to meet here again then to share more holiday cheer. In the meantime, I'd like to say "so long for now" with an awesome video from djBC that seems to really capture the fun and joy of Christmas. * Until next time, keep a smile on your face, good tunes in your head and plenty of holiday spirit in your heart. *Can anyone recognize the classic film in which many of the non-animated shots from this video first appeared? You might check out our first Boxing Day Holiday Horror Show (if you dare). I was very sorry to learn that former New York Governor Mario Cuomo died yesterday. I remember watching his inspiring keynote address at the 1984 Democratic National Convention, and, like many others, had high hopes that he'd run for president in each of the next several election cycles. He was an inspiring orator and a good man. 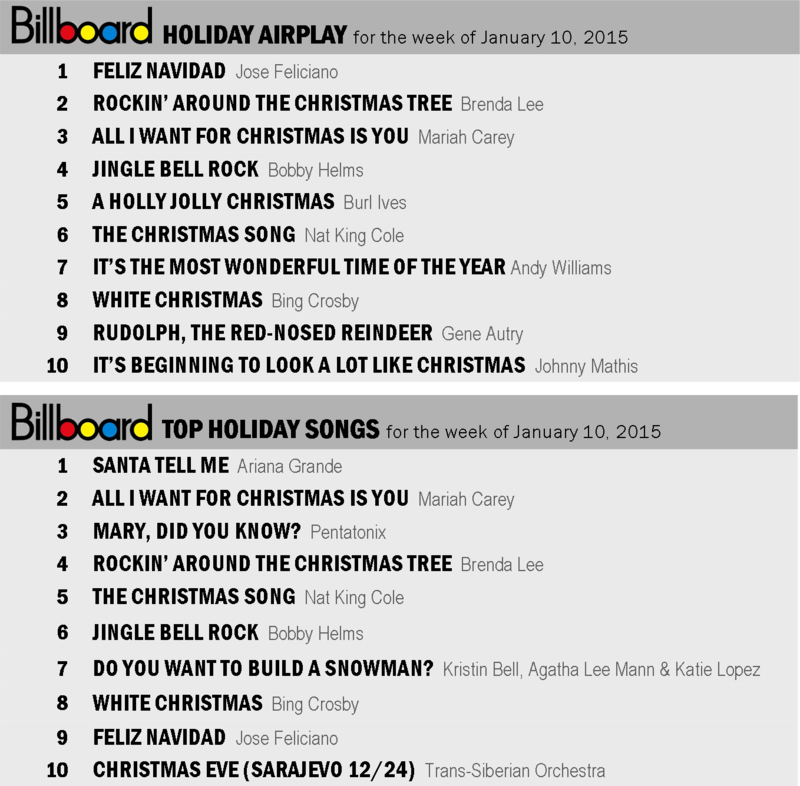 Hey, Radio Programmers: How About Playing a Few New Holiday Songs Next Christmas? I know I must sound like a broken record on the subject, but the average age of the ten most frequently played holiday songs this season is 50 years old! 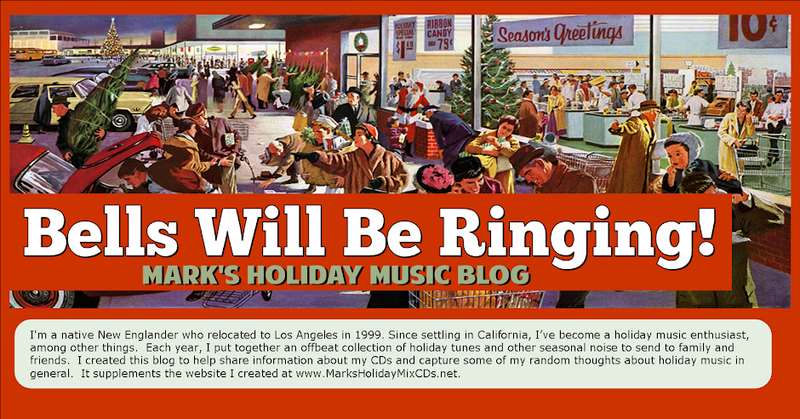 Now, it's not that I've necessarily got anything against any of these songs (well, OK, I'd love it if I never had to hear Mariah Carey again), but wouldn't it be nice to see a few stations take a chance and play some music recorded after color television was invented? I could easily pull together another couple of dozen suggestions, but I think I've made my point. Our culture seems to be at a particularly awkward point in its development just now, as we watch two fundamentally different trends continue to unfold. On the one hand, our mass media has become bland and lifeless as TV, radio and traditional print outlets are either gobbled up by a small handful of powerful corporations or quietly put out of their misery. The result is an industry that panders to the lowest common denominator so as to avoid offending potential consumers, or at least Hollywood's conception of what the typical consumer now is. On the other hand, we have the internet — a truly revolutionary tool that gives everyone a microphone and printing press and helps even small groups of like-minded fans to find one another and support an infinite variety of tastes and styles. Of course, the very diversity the internet serves can be manipulated to divide people into ever smaller segments and thereby exert greater overall control over society as a whole, which is why it's so important to follow developments on both a macro and micro level. The challenges we face as a society require increasing vigilance and involvement, along with a generous dollop of holiday spirit and cheer. Before we close the door for good on the 2014 holiday season, I did want to share an interesting video I've just discovered that suggests "31 Things You Didn't Know About Holiday Songs." The majority of these facts were news to me. I was surprised, for example, to learn that "Do You Hear What I Hear" was written in 1962 in response to the Cuban Missile Crisis! (Did you know that?) I wasn't so surprised to learn that diva Mariah Carey made three different videos of her Christmas song, but who knew that Paul McCartney makes around $500,000 per year in royalties for "Wonderful Christmastime" (yech!). One of the neat things about living in Los Angeles is that most things start a little later out here. By the time we ring in each new year, most of the world has already gone to bed. Actually, the majority of the planet's population is already awake and well into the next day. I guess that's why New Year's Eve doesn't seem to be quite so much of a big deal on the Left Coast. We also get to watch everyone else's celebrations before our parties begin, and from the videos I've seen (below), it looks like many places did it up right this year. Wherever you were and however you chose to welcome the new year, I hope it's a happy, healthy and peaceful one for all!